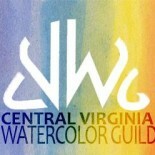 The Virginia Watercolor Society annual exhibition has just opened in the Olin Hall Galleries at Roanoke College. Congratulations to the following CVWG members who were juried into this prestigious show, namely Byron Dickson, Trish Crowe, Richard Goff, Brenda Hounshell, Sue Linthicum, Chee Ricketts, Peg Sheridan, Marcy Springett, William Snow, and Don Whitson. Pictured here is “Village Charm” by Peg Sheridan. Check her website pegsheridan.com for more news about Peg. The exhibition will close on October 7, 2018. This entry was posted on Sep 13, 2018 by miatomaine in Member news, Shows.